* Please Note: Item shown with optional Black Arched Louvers and Aged Brick Liner. *Also Note: This item requires a Barrier Screen or Door Set and Frame with Barrier Screen. Empire deluxe fireplaces are built for the convenience of the user. 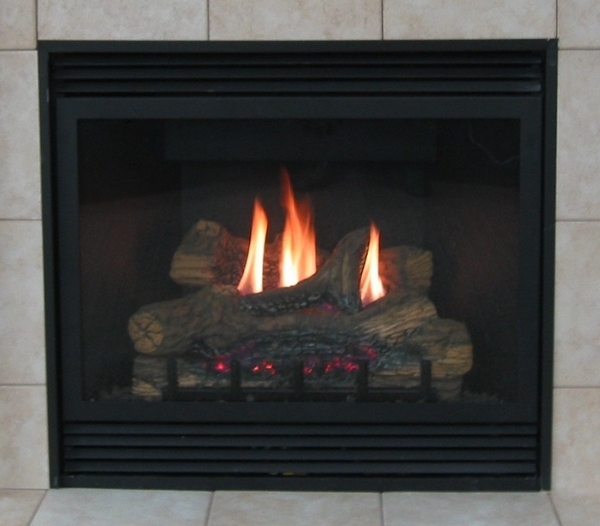 The Empire DVD32FP31N Tahoe Deluxe Direct Vent Fireplace comes with a tempered glass front and automatic blower. The blower efficiently circulates heat throughout your space. Users will enjoy the warmth provided by this 18,000 BTU model. The millivolt-ignition system allows users to light the fireplace without electricity, making it ideal for areas that experience power outages during winter storms. And its compact design make it ideal for spaces requiring a tight fit. Realistic glowing embers and lava rock enhance the look of this classic fireplace unit. Does this have temperature control? You would need to add an optional wall thermostat or thermostatic remote to have thermostat functionality. Does this come with the glass door? This model, as with all direct vent gas fireplaces, includes a solid glass front. It also includes the burner, log set and a blower.